I defy anyone to find a more beautiful spot in the whole of England than that of this Grade I-listed house, an unusual cottage orné built by Wyatt for the Duke of Bedford. The third suite in the stable block, 20 is the most quirky and unusual one. 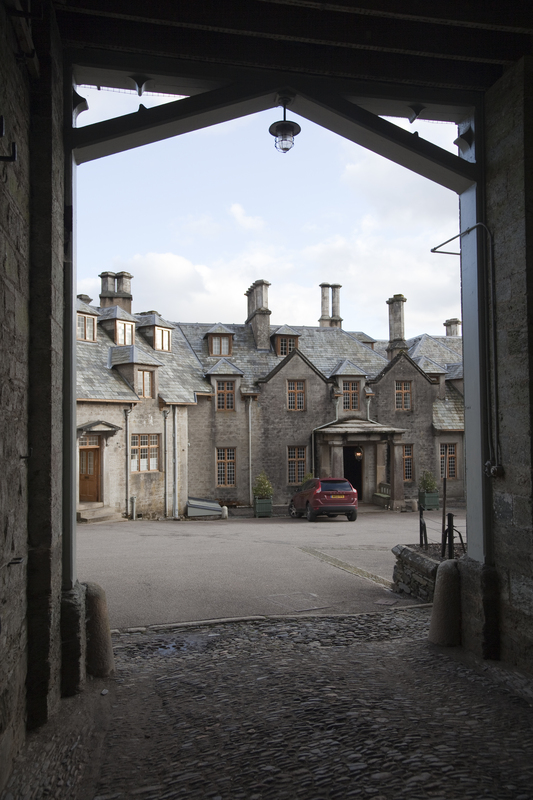 It was the hay loft and many of the original features remain. Thick oak trusses, large spaces with roofs sloping to the floor, tongue and grove walls. 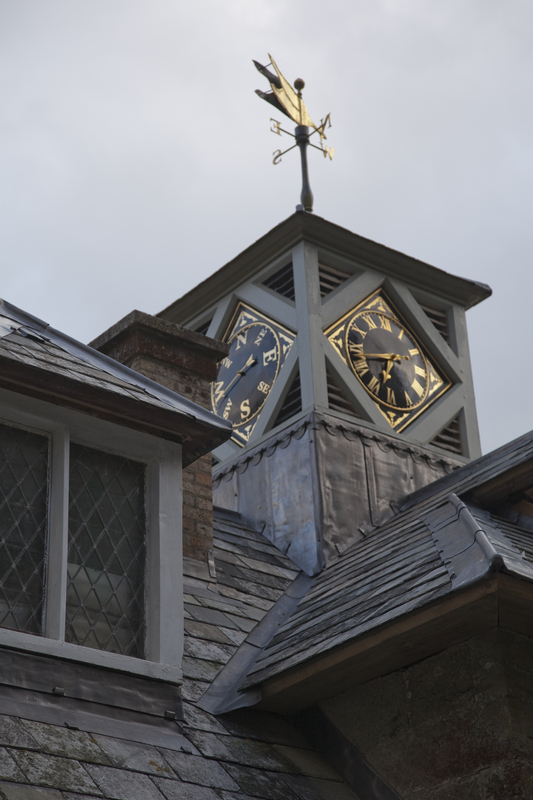 Just below the Clock Tower with its original clock, the suite has its own entrance from the cobbled stable yard. All the windows look out to the small fountain bearing the stone slab with the date 1810, the date when the Duchess began the building of Endsleigh. The decoration of the suite, where possible, respects its original function but adding other elements that recall Endsleigh and its gardens. Bright wallpaper with Rhododendrons fill the staircase leading up to a pretty window with a large desk. To the right is the bedroom with its long unusual bathroom, to the left the sitting room with the possibility of an extra bed. Copies of the original shutters on all the windows and eclectic furniture. There is a kitchen dresser for preparing tea and coffee. The suite comes with flat screen televisions, DVD players, Nespresso machine, fridge, safe, free WiFi and Mitchell and Peach toiletries. All of our rooms are dog friendly. -Roll top tin bath and separate walk in shower. 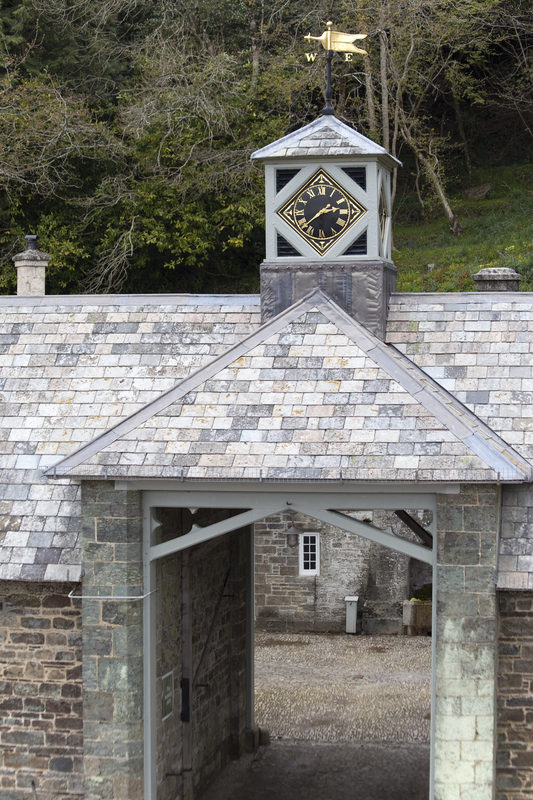 The Stables at Endsleigh have lots of interesting nooks. We plan for a boutique and a treatment room later this year. If you have a young family take a look at Suite 18, The Stables.